Neil Lochery is the Catherine Lewis Professor of Middle Eastern and Mediterranean Studies at University College London (UCL). 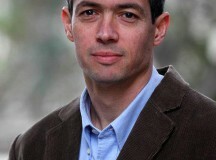 He has served as an advisor to political and economic leaders from both sides of the Arab-Israeli conflict, and is the author of nine books including The View from the Fence: The Arab-Israeli Conflict from the Present to its Roots (Bloomsbury Continuum). 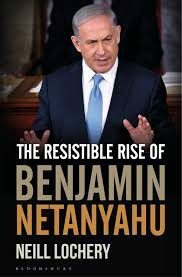 He spoke to Fathom editor Professor Alan Johnson about his new book The Resistible Rise of Benjamin Netanyahu. This is an edited transcript of their conversation. Alan Johnson: What were the major influences on your intellectual development and how have they shaped the characteristic concerns of your work and your career? Neill Lochery: I come from a mixed Scottish and Northern Irish background. 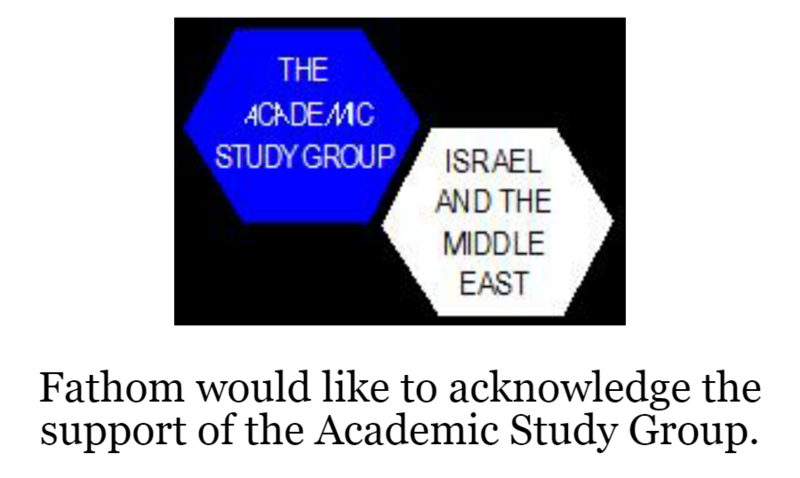 Intellectually, I acquired a very strong interest in Middle East politics from studying at Exeter University in Middle Eastern Studies and then Durham University for my PhD in Israeli politics. 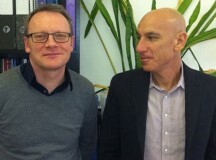 I began to work more closely on Israeli elections and from there my interests widened to include the Israeli-Palestinian conflict, UK-Israeli relations, Israeli foreign policy and Palestinian politics, all of which I teach now at UCL. I also have a very strong interest in Jewish refugees in the Second World War, and specifically those who went to Portugal and Brazil. I’m about to publish a new book on the 1974 revolution in Portugal, which may sound a bit strange but there is a strong link with Israel. Portugal was the only country that allowed the US to use its bases to refuel its aircraft for weapon airlifts to Israel during the 1973 Yom Kippur War. This led to the Arab oil embargo being enforced on Portugal, which had a massive impact on the fall of the regime. AJ: Let’s turn to this new book of yours. The structure is very interesting. You decided not to write a standard cradle-to-grave biography, instead isolating nine decisive moments in Netanyahu’s political life when he had to make difficult political decisions. What did you hope to achieve with that approach and were you happy with the result? NL: Yes, I am happy with the result. The reason I chose to structure the book this way was because I’ve grown a bit bored of reading political biographies. I find the standard formula a little tired. I tried to come up with 10 decisive moments but could only find nine. I was hoping that the tenth and final decisive moment would be the March 2015 electoral defeat, but it didn’t happen that way! I looked at each decisive moment and asked why it was significant and how Netanyahu learned from it. Not all the moments were good for Netanyahu: you have his electoral defeat in 1999 and the assassination of Yitzhak Rabin in 1995. But what I found most interesting about Netanyahu was his ability to learn from even the damaging moments; to learn how to avoid them happening again. AJ: The title of the biography is The Resistible Rise of Benjamin Netanyahu. Were you deliberately echoing Bertolt Brecht’s play, The Resistible Rise of Arturo Ui, a satirical allegory of the rise of Adolf Hitler and the Nazi Party in Germany prior to the Second World War? NL: I have to be honest and say it wasn’t my choice of title. The editor of the book had a strong preference for this title. The title I liked most was ‘A Stranger in a Strange Land,’ which is a theme that runs through the book. AJ: Do you worry the title is open to misinterpretation? NL: I do worry about it – which is why I explain it in this way. AJ: Let’s talk about Netanyahu ‘The Son’. His father Benzion was an Israeli historian and an intellectual. How important a factor do you think his father was in Netanyahu’s political and intellectual formation, and in his actions today? NL: I would divide your question into two distinct sections. Benzion was a tremendously important influential figure on the development of Netanyahu’s personal development. But politically I think his influence was much less. Benzion was more or a hardliner and in the book I argue is more pragmatic politically than his father. AJ: Benjamin Netanyahu’s older brother Yonatan was a heroic figure: the leader of an elite IDF unit, killed while rescuing Jews at Entebbe. You write: ‘There are two quite distinct Benjamin Netanyahu’s: the one before his brother’s death and the one after it’. Can you explain? NL: Before Yonatan’s untimely death, Netanyahu was the middle child in the family and the parental aspiration was that he should become a successful businessman in America or Israel. Netanyahu was a bit of a wanderer who hadn’t yet decided the path he wanted to take. He wasn’t unsuccessful; he undertook university courses in record time. He was extremely well organised and even back then he was very articulate. But he was not seen as the brother who would carry the family mantle forward – that was something bestowed to him after Yoni’s death. After his brother’s death, Netanyahu became a lot more focused. He set out to protect the legacy of his brother, which led him to form the Jonathan Institute and to become very interested in terrorism and counter-terrorism methodology. This helped Netanyahu to form important connections – a lot of people, including some very senior American officials who were coming to the Institute’s conferences, had never heard of Benjamin Netanyahu. After Yoni’s death he becomes a very different character. AJ: You write: ‘It was no coincidence that the rise of Bibi corresponded with the process of democratisation of Israeli politics.’ Can you explain what you mean? NL: If there hadn’t been a democratisation of Israeli politics then Netanyahu would never have become Prime Minister. If the Likud had continued to select its candidate in smoke-filled rooms, as the Israeli Labor Party did, giving enormous power to the leaders of the party to select who’d they wish to be on the electoral list, I’m not sure Netanyahu would have emerged at the top of anyone’s list in 1996, young as he was. There were a number of aspects to the democratisation of politics in Israel. The most important was the introduction of American style primaries, which shifted the whole political system in Israel away from the party leadership to the membership. This gave people a number of opportunities, particularly media-savvy politicians like Netanyahu. And he was very smart in seeing that even in primary elections the role of the leadership was still important. He was part of was the Moshe Arens / Benny Begin camp. He successfully coat-tailed on the back of Arens, [former Defence Minister, Foreign Minister and Israeli ambassador to the US] who was his political mentor to a large degree. He rose up the ranks very quickly and overtook some of his generational opponents in the Likud – people like Roni Milo and Ehud Olmert. The second stage of democratisation in Israeli, which in my opinion was something of a disaster, was the direct election of a prime minister. The two people instrumental in this change were Netanyahu and Yitzhak Rabin. Both regarded themselves as being more popular nationally than among their party followers, so for them there was a vested interest in this change. Yitzhak Shamir, who was Prime Minister at the time, was hugely against the introduction of what he saw as a vanity contest – he lectured Netanyahu, saying if he voted for the proposal then they would be ‘done’. But Netanyahu did vote for it. In fact, his vote was the deciding vote and this was an example of Netanyahu voting for something he believed was the right thing. The aim behind direct elections was to strengthen the executive in Israel and turn the Prime Minister’s Office into a more presidential style of government with a slightly weaker parliament. What it actually did was help to weaken the prime ministership for much of the 1990s. If you look at that decade, when Israel had to make significant decisions about its future and its relations with the Arab world, Israel had six prime ministers (although Netanyahu was the first to be directly elected in 1996). In my opinion it made Israel almost ungovernable at a crucial time. Netanyahu’s first government had eight or nine parties, with completely different agendas. It was almost impossible to keep this very wide coalition together. He spent most of the time coalition managing. Ariel Sharon eventually stopped direct elections for the Prime Minister and returned to the old system. AJ: Relatedly, you tell us that Netanyahu is partly responsible for the ‘Americanisation’ of Israeli politics. 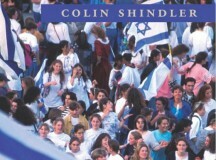 He had few qualms about ‘planting the flag of American political culture firmly into Israeli soil’ you write. Has this been a surface change, something merely presentational, or has it moved something deeper in Israel’s political culture? NL: I think both. Initially, it was surface issues such as the advent of the political soundbite. Netanyahu was excellent at political soundbites in both Hebrew and English – can you imagine Shamir or Rabin giving a political soundbite? I don’t think so. Another change was the advent of the spin doctor. In the 1996 campaign against Shimon Peres, Netanyahu used a powerful American spin doctor and a team of ‘outsiders’ rather than the old machine of the Likud. That was something which eventually transferred into Labor under Ehud Barak, who brought in American spin doctors associated with the Clinton administration. Today, it is the norm for Israeli politicians to have an American spin doctor by their side. On a deeper level, there has been a sea-change in Israeli politics. The decline of ideology; issues being discussed in terms of vested interest groups in Israel; economic or religious issues are being decided by different groups; and the rise of extra-parliamentary pressure groups. Policy-making in Israeli, which was incredibly centralised under the early leaders of David Ben-Gurion, Moshe Sharett and Levi Eshkol, is now more reflective of the American system of competition, interests groups and stakeholders. AJ: You give us a Netanyahu who is ‘an outsider,’ ‘ill at ease with the Israeli elites’, yet also a man who is closing in on Ben-Gurion’s record for longevity as Israel’s Prime Minister. That is some paradox! Did that paradox shape your approach to the biography? Do you feel you had an explanation for it by the final chapter? NL: When I started to write the book I thought I’d be writing about a man who was an outsider coming in from the cold and gradually became an insider. I expected to find that he had created new elites to surround him and change the reality. Essentially, I expected to find that the outsiders had become the insiders. That did not really happen with Netanyahu, in my opinion. If he beats Ben-Gurion’s record and becomes Israel’s longest serving Prime Minister, and I suspect he will, it begs the question: how does a man who is an outsider remain in power for so long? Because he is ‘The Goalkeeper’ – most Israelis don’t like him yet they feel safer being with him. He can say, ‘Well, things haven’t got worse when I’ve been in power’. He can also say ‘and the economy has improved.’ I’m sure people will argue against this claim, but I think that the Israeli economy would have collapsed if it hadn’t been for the reforms he introduced when Finance Minister between 2003-2005 in the Sharon government. His greatest achievement so far is in the economic sphere rather than the political one, ironically enough. AJ: You write about Netanyahu as Israel’s ‘Goalkeeper’, but you also use the phrase ‘king of fear-mongering’. You list 10 varieties of fear that, in your view, he has exploited at various times. These are: fear for personal security, for the security of the state, of making peace with the Arabs, of not making peace with the Arabs, of international isolation, of globalisation, of increased religious extremism, of secular influences, of economic reforms, and of economic decline. Perhaps, if Netanyahu was sitting here with us, his question would be: and which of those fears do you think are misplaced or overstated? NL: He would see nothing contradictory in the list. At different times during his career he’s evoked different threats. Because of the longevity of his career, Netanyahu would say, ‘The issues have changed, so I don’t see any problem with that list.’ Most interesting to me are the fear of isolation and yet also the fear of globalisation. Israel wants to be very outward-looking on the world stage; you see it forming new trade deals and finding new trading partners as the world gets more complicated. But at the same time Israel is very nervous, inward-looking and unsure of foreign interest and foreign investment from certain parts of the world. The fear of isolation comes up in every-day life in Israel. They worry about hostile relations with the US and political distancing between Europe and Israel. AJ: To play devils-advocate, does Netanyahu always get the credit he deserves? For example, his strong conviction at the start of the Arab Spring was that people were getting carried away and that after the spring would come the ‘Islamist Winter.’ When one compares that to the misplaced optimism that was around, including among US President Barak Obama’s advisors, does Bibi not deserve more credit? NL: Netanyahu’s vision of the Arab Spring turned out to be the more accurate than Obama’s, but when you make a case that is negative, people still prefer to believe the positive, even if that is folly. That’s probably why Netanyahu doesn’t get the credit he deserves for being right. One wonders how much credit Obama would have got had the Arab Spring resulted in democratisation spreading across the Middle East, fresh elections in Tunisia, Egypt, powerful new elites emerging, growing international trade etc. – I’m sure he would have received a lot of credit. AJ: You argue that the biggest flaw of ‘Netanyahuism’ is ‘the absence of positive counter-proposals’. Why do you think that is? Could it be a strategy rather than a flaw? Could it be his way of securing those ‘few additional decades’ for Israel that his brother Yonathan wrote to tell him Israel needed? You quote the letter in your preface: ‘I feel profoundly apprehensive about the future of the Jewish state … [but] there is a chance… if we can manage to drag it out for a few additional decades.’ Perhaps Netanyahu thinks that this is his role as Prime Minister? While people might want to see him make dramatic moves, maybe he sees his job as maintaining the existence of the State of Israel for those ‘few additional decades’? NL: I argue in the book that Netanyahu’s definition of success is completely different to that of most other Western leaders. Netanyahu’s definition has a baseline of survival. Many of the audiences I speak to seem very disappointed about that. They say ‘we expect more.’ My response is ‘OK, but [survival] is an important baseline to have’. Everyone likes the drama of the signing ceremony of a peace agreement, but the Middle East is littered with bad examples of peace agreements, in my opinion. Sometimes, leaders have been coerced by the US to sign agreements that weren’t going to work. Sometimes, the implementation leads to a worsening or a near collapse of the situation. It is clear that Netanyahu is sceptical of dramatic change but that doesn’t mean one day he will not sign a peace agreement – and a dramatic one. AJ: Many Europeans are confused by the fact that on the one hand Netanyahu talks about the risk of a bi-national state while, on the other, his government continues to oversee settlement construction, including in some of the most sensitive areas. One day he is for two states, the next there will be no Palestinian state on his watch. How do you explain these reversals? Is there a strategy we can’t see, or is this a case of him incoherently playing to one constituency one day, another the next, responding to pressures without a clear policy? NL: I’m not sure. No doubt Fathom’s readers and listeners all watched the last Israeli election in 2015 and saw how Netanyahu shifted to the right. There was ‘Not on my watch’ about the two-state solution and there was his comment about Israel’s Arab citizens going to the polls on election day ‘in droves’. Both were condemned internationally. He had to row back from both statements later. And Netanyahu’s career has been like this: when he became Prime Minister he talked about never dividing Jerusalem to the Likud Central Committee, but in the records of his discussions to the international community (and the Americans) they indicate a different position. And this leads to your point of whether he has any credibility when he speaks – do people think he’s just a ‘say-anything-to-get-elected’ politician, or is he really a hard-line ideologue who isn’t prepared to do anything. He is either one or the other, but which ever one he is, it’s damaging. AJ: Are Netanyahu’s two fundamental demands – recognition of the Jewish state and demilitarisation – actually unreasonable? If the Palestinians accepted both tomorrow, would the road to a deal not have opened? Isn’t he right to hold the line on those two demands? NL: This book is not a book that sets out to blame everything on Netanyahu. The leadership of the Palestinians has been exceptionally poor. There were key moments when things could have gone better, which are most certainly not the fault of Netanyahu. But the focus of the book is on him, not on the Palestinian leadership and its inflexibility on dealing with the issues of demilitarisation and the recognition of a Jewish state. AJ: Returning to Netanyahu’s comment of Arab Israelis on the last day of the 2015 elections, I interviewed Aluf Benn, the editor of Haaretz a few years ago and he told me he’d taken the time to check how many Arab towns and villages Netanyahu had visited – it was a small number. And then there was Netanyahu’s reaction to a shooting in Tel Aviv, after which he appeared to lecture all Arabs to ‘get with the programme’. Yet, on the other hand, there’s also been the five year Arab development plan which is radically egalitarian, if fully implemented. How do you read the relationship between Netanyahu and the minority? NL: In terms of dealing with the minority in Israel, I think he’s distant and aloof, but in the economic sphere, it’s different. He views Arabs as a lower-income group and tries to improve their status – this stems from his belief that if you try to improve the living standards for people, cooperation will improve. And there is a close relationship between improving living standards and implementing peace agreements. Netanyahu believes that if you can improve their living conditions and their prospects for work, then you have a better chance of co-habitation. That said, he is very aloof. Mind you, lots of Israeli left-wing politicians spend enormous amounts of time visiting Arab towns, and I am not sure how much good comes of it. AJ: Israeli politics is all about coalition-building. In the current coalition we have Naftali Bennett, Avigdor Lieberman, and some hard line politicians within the Likud. This is causing some people to wonder: is Netanyahu now a captive to the kinds of narrow coalitions that he can build? 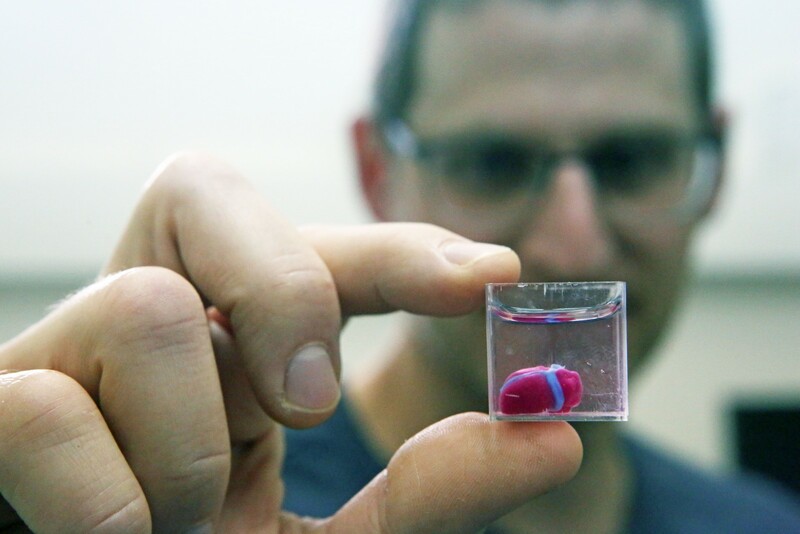 Will this shape what ‘Netanyahuism’ will be in the future? Or does he have the ability to put a different, broader kind of coalition together? NL: Netanyahu thought his single biggest failing during his first term in office was his coalition management. He vowed to be better next time in dealing with that he termed ‘the egos’. 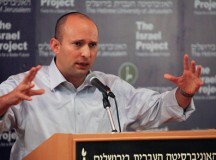 Today he finds himself in a situation whereby Lieberman and Bennett appear to be the key figures in his coalition. I’m divided as to whether he will reach out to Opposition leader Isaac Herzog. I know there’s been lots of a column inches written about actual negotiations taking place between the two. But of course the danger of staying with Lieberman and Bennett is that it’s going to shape his legacy in a certain direction.